Sarah Prout is a social genius and an exceptional lady of business, I stumbled across her website recently to be left feeling inspired and motivated. There was an incredible sense of charm and energy emanating from the site so I just had to get in touch and learn more about this interesting personality. 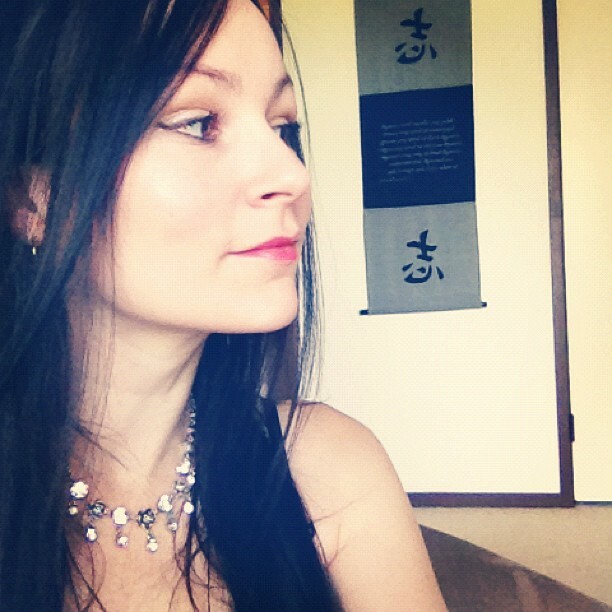 Sarah Prout is an entrepreneur, writer/author, artist and publisher (co-founder of Alska Publishing). She is passionate about empowering women in business to follow their creative spirit and ignite their entrepreneurial sparkle. Nothing excites her more than someone with an amazing idea and a burning desire to turn their dream into a reality. Sarah has had an interesting journey she comes from a creative background and spent much of her time as a child in galleries and studios. The entrepreneur has moved about more than the average person ‘I’ve lived in over 28 different homes in nearly 33 years’ and she went to 2 primary schools and 3 high schools. Personally I imagine these various changes and experiences have contributed greatly into making Sarah Prout who she is today, she has a fabulous outlook on life and shares a positive ‘can do’ attitude which I believe stems from personal experiences of life, people and the world in general. I think it’s fair to say something magical was always on the cards for Sarah Prout who I believe has always pushed for something more…you know not settling for anything but something that has real value to herself, her family and the worlds around her. Sarah is clear about the fact that she has never been very good at ‘jobs’ and it seems her first job experience at the age of 14 working in a cafe was more than enough to confirm ‘jobs’ aren’t very good! Since those early days Sarah has always been generating income through entrepreneurial pursuits and impressively at the age of 14 she was labelled Hallmarks Youngest Designer Worldwide for creating a range of wrapping paper that was printed internationally. Sarah Prout has been featured in various publications including the Tiffany & Co. website, Problogger and in particular she caught the attention of The Australian Financial Review who say she ‘ranks among the top Australian media profiles and it’s not an opportunity she wastes’. Trends indicate that Twitter is set to skyrocket in 09 so my advice is to get yourself an account now J Think of it as an alternative method of list-building but with a focus on connection and adding valuable micro-content on a regular basis’. Today 2012 Sarah Prout can proudly say she has a huge fan base of almost 55,000Twitter followers…incredible…well done!! Favourite Restaurant: Shakuhari (Vegan) in Carlton, Melbourne. Favourite bar: Polly in Brunswick Street, Fitzroy. Recommended music: Anything you can dance to. Name of business and the story behind the name: The name of my publishing company is Älska (elsh-ka). It means ‘to LOVE’. One night my partner and I were laughing and trying to give our combined energy a name and the word ‘Älska’ popped into my head very clearly. We had no clue what it meant and another thought to Google it surfaced to the front of my mind. We Googled ‘Älska’ and it turned out to be the Swedish verb to LOVE. We saw this as a sign that it would be a good name to call our company. Please can you describe what you do and who and what has influenced you to make you who you are right now? I understand life has thrown some challenging times at you especially when you were younger. I would describe myself as a writer first and foremost. My true passion is empowering women to see their own unlimited potential in business. I’ve always been a creative entrepreneur ever since I was little. I got married when I was 20 to a man that was 12 years older than me so I felt like my emotional growth was somewhat stunted due to our domestically volatile existence. I had to explore creative ways to feel fulfilled through starting various business ideas and through study of meditation and personal development. When I became a stay-at-home mum when I was 21, it was my ticket to empower myself to create an enterprise. I became a veracious reader and student – heavily influenced by women that had created massive success for themselves. At 26, I watched the movie ‘The Secret’ which is where I think the biggest transformation started to take place. What was life like growing up for you? Where did you grow up? I grew up in galleries and studios because my parents were both artists – so the entrepreneurial gene was really quite strong! There was never a dull moment and there was always something creative going on. I went to 2 primary schools and 3 high schools so I moved around a bit, but my ‘childhood’ really happened in a place called Red Hill on the Mornington Peninsula in Victoria. What were your favourite books growing up and why? I loved (and still do) the books of Roald Dahl and his amazing imagination. I loved ‘Matilda’ and ‘The Witches’. When I was a teenager I loved the books of Margaret Attwood and she introduced me to subtle themes of feminism. Did you always want to be a writer and what writers do you admire most and why? Yes. I think I’ve wanted to be a writer and an artist for as long as I can remember. The thought of not doing something creative just wasn’t an option. As I mentioned before, I loved Margaret Attwood and her writing style which was a strong influence. I also loved the non-fiction writing style of Florence Scovel Shinn and her prosperity advice. Strong female voices have always inspired me. When did you start believing in metaphysics, how did this happen? I don’t think that there was a specific start date. My mother is very into spirituality and self-realization so there were always interesting books on our bookshelves. The concept that ‘everything is energy’ really hit home for me when I started studying meditation when I was 19. Our teacher was a really amazing old Sikh man called Sri Bhai Sahib Ji – with a long white beard and a purple turban. He was the first person to explain the bridge between science and spirituality in a way my heart could absorb. What were your first job experiences? I’ve never been very good at ‘jobs’. I first worked in a café when I was 14 and the manager touched my bum so I quit. The next job I was a freelance designer for Hallmark at 15. And then at 17, I became a charity collector for the Wilderness Society in a Koala suit…during summer! I worked in semi-corporate roles in visual merchandising until my son was born when I was 21 and since then I’ve always earned money from my entrepreneurial pursuits. Can you describe the transition from the start of your business to where you are now? What has the process been like? Where have you worked and who have you worked with? I started my own publishing company back in 2007. 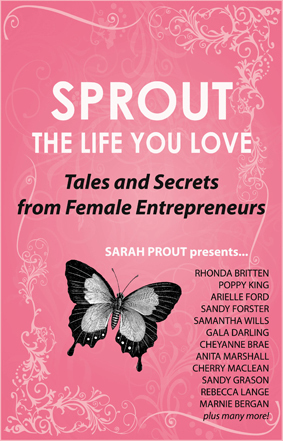 This is when I created my first bestselling book called ‘Sprout The Life You Love’. My business was all run in the stolen moments when my children were sleeping. Some nights I would work until 3am and then up at 6:30 to make the lunches and do the laundry. Since Sean and I partnered up for the beginning of Älska Publishing back in 2010, our business model has changed a lot more to outsource to our team to create a lot more flexibility. When I started I was the designer, the accountant, the bookkeeper, the copywriter and the cleaner. Now I can happily say that I outsource to our Älska team. We work from a home based office so I can be here for my 2 children. Our goal is to move to an office building with the next 18 months or so. There must have been some challenging times…what were they and how did you respond to these? I left my husband of nearly 10 years, moved states, landed an international book contract with Wiley, had 12 coaching clients and a social media consulting business. The stress was unbelievable! I had to write ‘The Power of Influence’ on such a tight deadline while dealing with my children and the adjustment that leaving Daddy, leaving Melbourne and leaving everything we knew had on their little hearts. I would block out 5 hours per day to write about 4,000 words. Looking back, I’m not sure how I did it, but I did and it was a fabulous lesson. How does having your own business differ from working for a large corporation? Whether it’s a big or a small business, the one aspect that makes it great is the energy and the culture injected into the corporate philosophy. With us here at Älska Publishing we want to ensure that everyone that interacts with us has an awesome experience. We’re truly passionate and know that this approach will ensure our overall success and longevity of our brand. What has been your strategy for creating visibility to yourself and your website? You have about 55,000 followers on Twitter…incredible How have you achieved this and how long has this taken you? I’ve been online and in business since 2006/07 so it’s been a gradual building process. I’ve achieved this by connecting with people and making sure that I keep everything pretty authentic. I even met my boyfriend and Älska co-founder on Twitter! He was living in Hollywood and I was living in Noosa. I think that building a personal brand and a corporate presence has been really important for my growth as an entrepreneur. Media exposure has always helped a lot as well. I believe that the key is to keep engaged with your audience and express gratitude for their presence in your online life. What has helped your success most? Believing in myself and my strength to see the best outcome possible. Also landing a book contract with Wiley helped a lot too in terms of adding to my credibility. 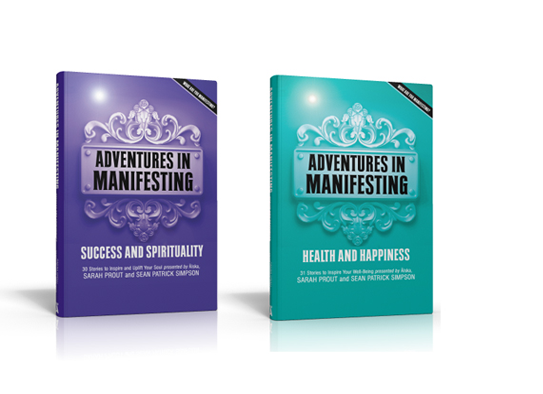 Our Adventures IN Manifesting books will be a household name. In just 12 months we have over 20,000 books in print so I can only image what another few years will bring. I would love to work a little less and be less of a workaholic. I would love to spend more time with my kids and my dogs sitting by the pool of our dream home. I definitely see myself as being happy. For anyone wanting to start up their own business what are your top 5 tips? Be smart with your money from the very beginning. Never depend on anyone else to make you happy.